Ghana coach Kwesi Appiah has ended his ten-day working visit of England with the vision of strengthening the Black Stars squad for future assignments. The 57-year-old trainer embarked on the tour from last week as he visited some players in the squad while observing others on the periphery of the team. The scouting and monitoring mission gave Appiah the chance to visit some injured Ghanaian players as well as engaging with coaches of their various teams. 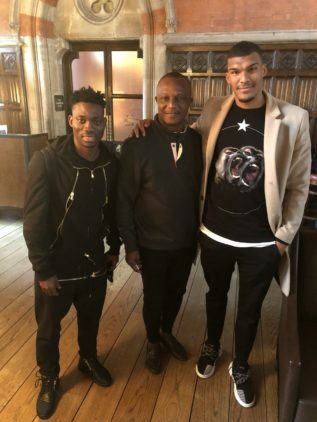 The former international defender embarked on the ten-day visit to observe some Ghanaian players in the United Kingdom who have not had the chance to play for the Black Stars. He also spent some few days with coach Arsene Wenger to observe Arsenal training methods and exchange ideas with the legendary manager. Appiah also met with some budding Ghanaian players born in England with good potentials of playing for Ghana in the future. The Black Stars coach left the country last week after spending most of his time monitoring the Ghana Premier League and players in the country's other leagues. Appiah use the broad knowledge he has acquired to build a strong team for the future as well as the forthcoming 2019 Africa Cup of Nations qualifiers.